Back in the days when I used to work in London, my office was on Piccadilly, so I used to pop into the exhibitions at the Royal Academy quite frequently. 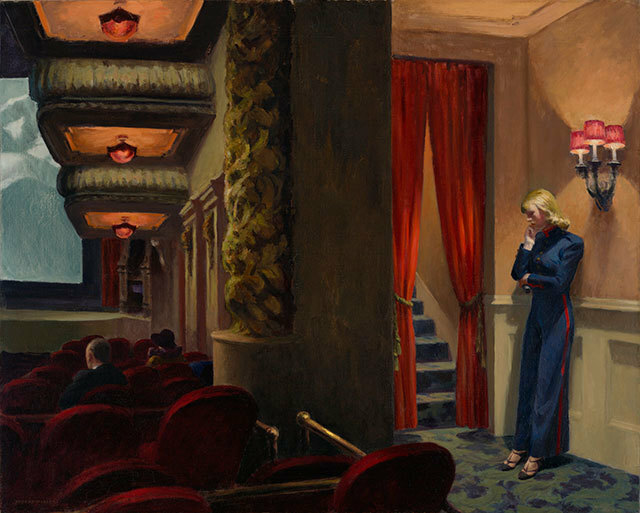 This time I had to plan and travel to see the America After the Fall: Painting in the 1930s exhibition (as seen by Emma in Paris and associated with books of the time), which closes on the 4th of June, but I’m glad I did. First, let me start by saying that it is rather small – only three rooms, making it at £12 entry fee for the exhibition – a high price/per room ratio. 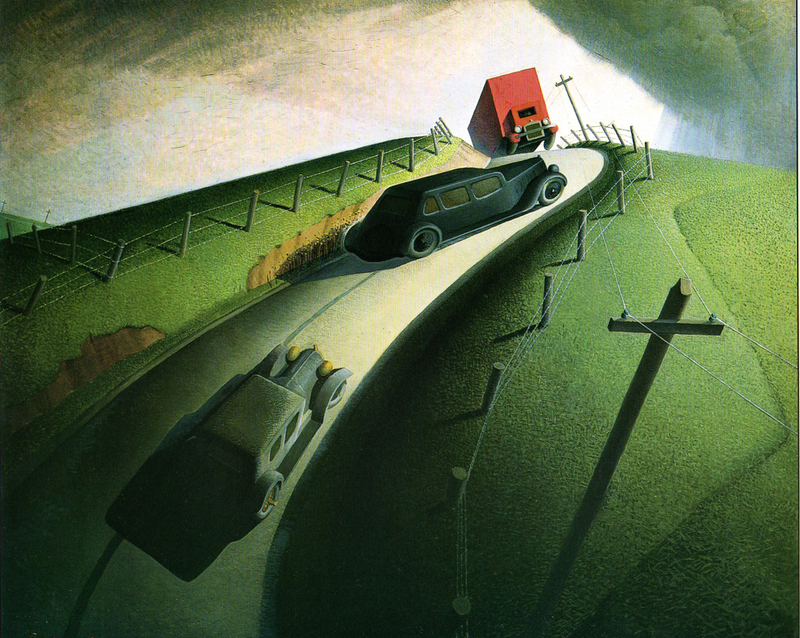 I have seen many more artists at the wonderful Phillips Collection in Washington DC. However, if you do not have access to American paintings, it is a good starting point, with a very informative guide in each room. 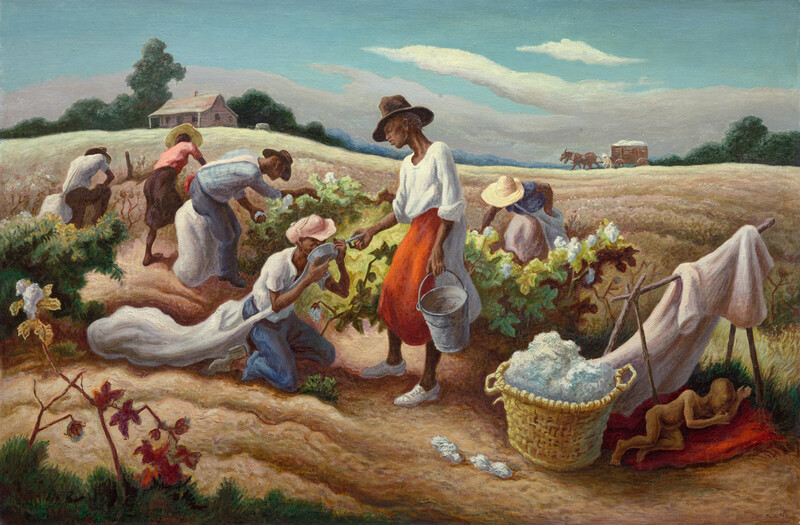 Cotton Pickers by T.H. 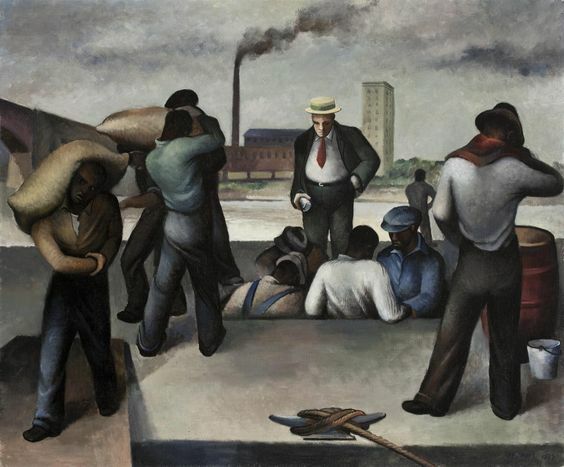 Benton. Whose nostalgia? Daughters of Revolution by Grant Wood, who is also the painter of that iconic American Gothic image. He’s not a man who flatters, is he? 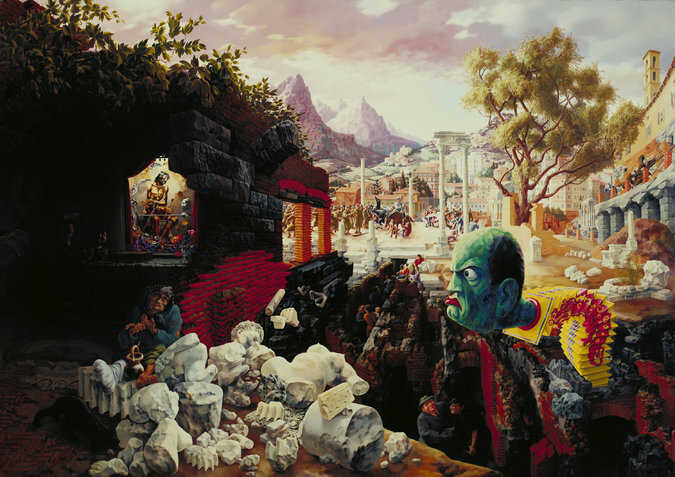 The Eternal City by Peter Blume, with visions of Mussolini smashing Roman art and civilisation into fragments. Art born out of crisis and insecurity, art (and a nation) searching for its identity: it bears out the belief that art can remain after those troubled times have gone, and can offer a far better insight into all its fears and hopes, dreams and nightmares, than mere historical description can ever hope to capture. I then had a lovely, protracted lunch with two friends from primary school. We’d not met in 30+ years, but were not short of topics to discuss even after we’d gone through all the ‘remember that horrible teacher?’, ‘remember when that wonderful teacher took us to the ballet?’, ‘remember what ghastly clothes we wore in that class picture?’ etc. etc. It turned out that our lives featured some great parallels (we all went to Cambridge, for instance, although at slightly different times, we all travelled widely and ended up doing something very different from what we originally studied), but above all, we all had a very international, open, tolerant outlook. Which goes to show that exposing children to different cultures when they are very young is the only way to foster diversity, genuine curiosity and willingness to understand. Two more brief observations about my day in London. The Romanian Consulate was absolutely heaving with people renewing their passports and preparing to go home or in another EU country. I’ve applied for mine now but the earliest appointment I could get for passports for my children would be end of August. Hmmm, I wonder why everyone is in such a rush to have a Plan B? Arranging to meet friends at Waterstones Piccadilly is a dangerous sport. Especially if you are slightly early. This is what happened. 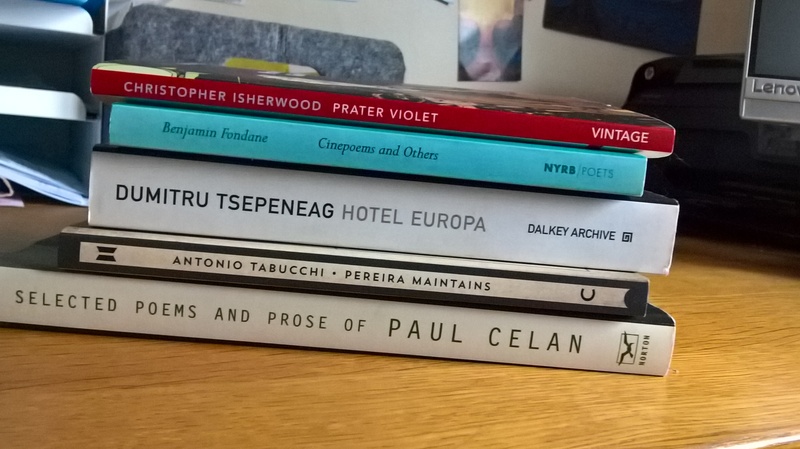 Three Romanian writers (one wrote in German, one mainly in French and one in Romanian), an Italian and an Englishman with international connections. 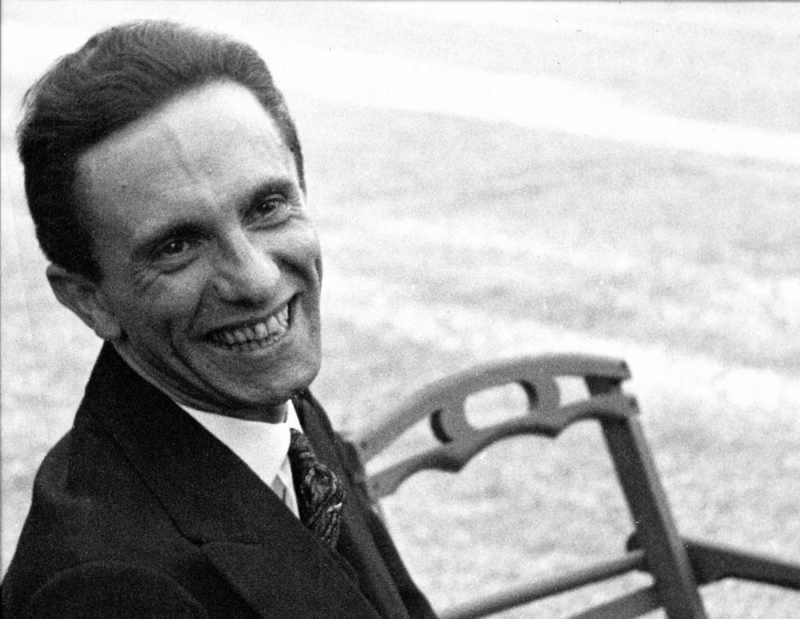 The 1930s theme of menace continues too, not just with Isherwood, but also with Benjamin Fondane, who died in a concentration camp in 1944, Paul Celan’s parents died in labour camps during WW2, and Tabucchi’s book is set in Lisbon in 1938m in the grip of Portugal’s fascist dictatorship. Patterson at last was looking a bit scared. Well, as you can see, even a day of leisure and admin in London ends up political at these times. 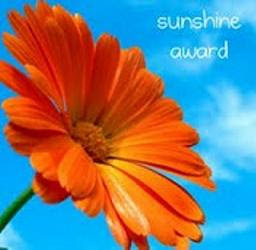 I’m off to water the flowers, breathe in deeply and meditate. 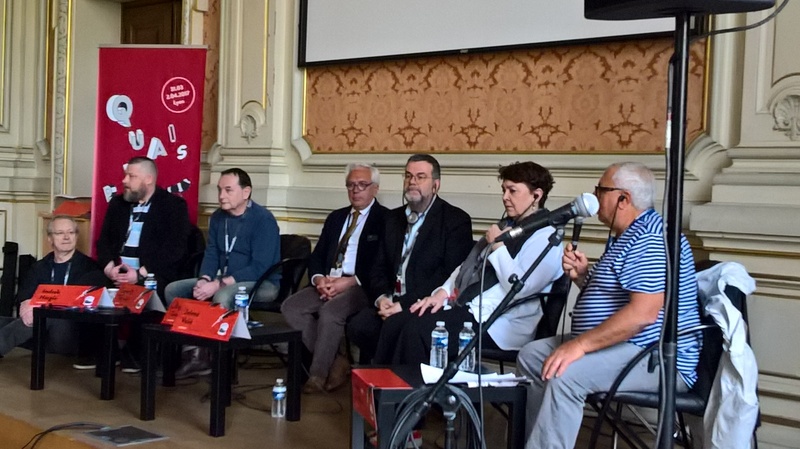 Two of the panels I attended at the Quais du Polar were more overtly political (although I avoided the ones on French or American politics – no need to depress myself still farther). Jelena Volić (Serbia), Bogdan Teodorescu (Romania), Eugen Chirovici (Romania), Indrek Hargla (Estonia). A bit of a clanger at the start of the session! Although the moderator said it was an attempt to escape the dominance of Anglo-Saxon and Western crime fiction, he then proceeded by saying that Volić had been born in Budapest, at which she retorted: ‘No, another capital city starting with B – Belgrade.’ I suppose that just goes to show the ignorance about ‘Eastern Europe’ which is still quite common in the West – but then again, the room was packed, standing room only at the back while I sprawled out on the floor, so perhaps there was genuine curiosity and willingness to find out more. The reason I put ‘Eastern Europe’ in quotation marks is because all of the authors remarked that this is very much a malleable concept rather than a geographical reality. Nowadays it has become more popular to say Central Europe, but without necessarily meaning it. Meanwhile, it could be argued that Estonia is more Nordic in feel and has very little to do with the Balkanic fellow panellists. So you couldn’t help feeling that the panel had been cobbled together purely because ‘well, you are all from that part of the world somehow’, without much thought or care going into the process or any attempt to find common themes. The books themselves didn’t necessarily have anything to do with the East, either. 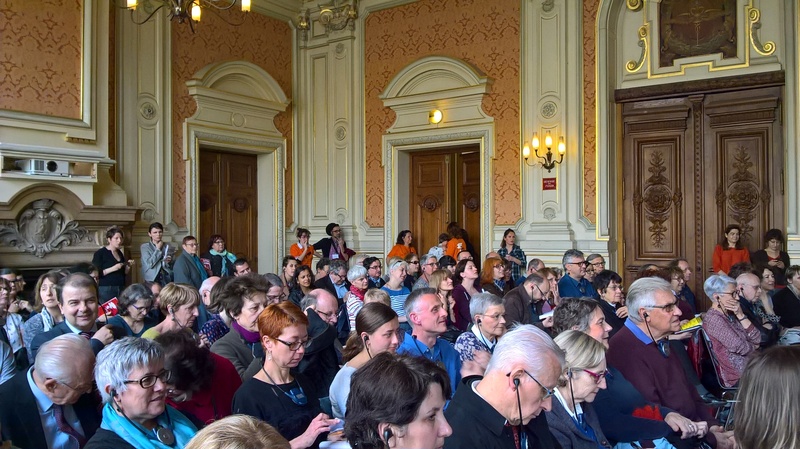 Chirovici said his book takes place in the US and is all about the power of memory to falsify our recollections, nothing to do with the history or politics of Romania, past or present. Meanwhile, Hargla said his whole intention was to offer escapism, which is why he had gone for mysteries set in medieval times (the 15th century being also one of the most protracted periods of peace in Estonia’s troubled history). So it was down to just Volić and Teodorescu to state that their books are making a political statement. 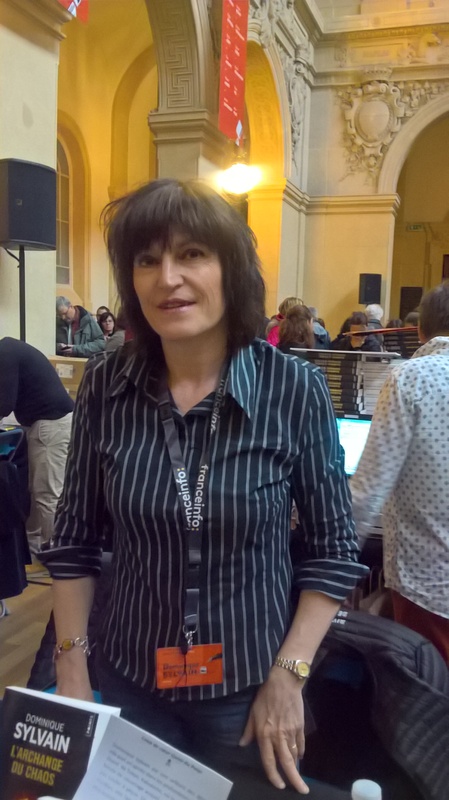 Volić has written a crime novel set around the time of Srebrenica, because she wanted to show how ordinary humans cope with individual tragedies at a time of mass tragedy. She co-writes with German author Christian Schünemann and her books are primarily intended for a Western audience, as she thinks the Serbs are all too aware of the subjects she is addressing. There are no easy answers in a book which unflinchingly examines a country’s guilt, and attempts to forget or deny the evil acts of the past. From left: translator, Indrek Hargla, E.O. Chirovici, translator, Bogdan Teodorescu, Jelena Velic, moderator. Teodorescu refers not to Romania’s past but its present-day issues in his novel Spada, which is the story of serial killer who targets criminal gypsies. Through the ambivalent public, political and media reactions to this killer, the author demonstrates just how easy it is to normalise the language of hatred, to raise the spectre of the ‘Demon Other’ and to lose any vestige of kindness and civilised behaviour in a democratic, open society in which 95% of people would describe themselves as ‘tolerant’. The book was published in Romanian a few years ago, but seems very timely with Trump’s America, Brexit Britain and now France and Germany possibly veering down the same path. Victor Del Arbol (Spain), Marc Fernandez (France/Spain), Zygmunt Miłoszewski (Poland), Qiu Xiaolong (China). 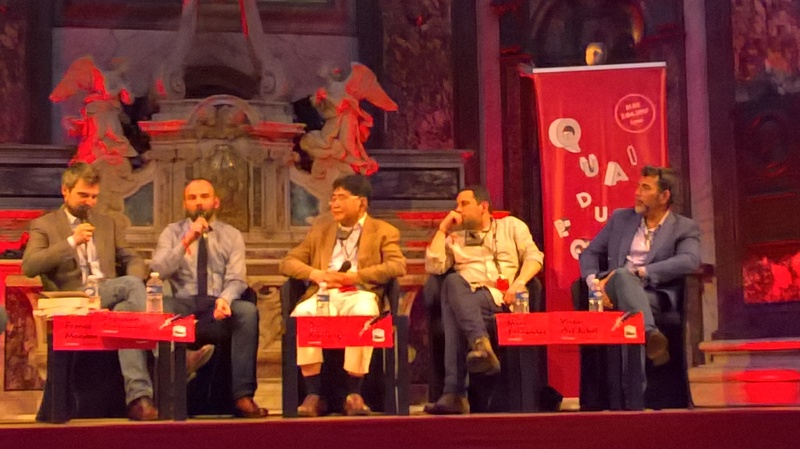 From left: Miloszewski, translator, Qiu, Fernandez, Del Arbol. The panellists started off by joking: ‘Welcome to the most depressing topic of the whole conference’, but in fact it was also one of the most fascinating topics, enabling us to see how totalitarian regimes have commonalities regardless of political leanings or culture. The moderator claimed that perhaps there was a Zorro instinct in each one of them, to uncover oppression and injustice through their fiction. While the authors themselves made no such pretentious statements, it was clear that giving voice to forgotten stories, to the vanquished, to truths which had been buried by the wayside was important to them. Del Arbol said that espousing or allowing just one single truth is dangerous, that is what kills. He also considers himself Catalan, Spanish and European all at once and does not see why this should be a contradiction. Miłoszewski said that all countries have something in their past that they are less proud of, and that they want to remember only the glory days, but the role of the artist is to offer an alternative to the ‘official’ interpretation of the past, to remember the shameful incidents as well. That’s what true patriotism means. Otherwise, nostalgia for the golden past without any shades is merely nationalism. Fernandez also pointed out the conundrum of the perpetual outsider: in France is considered the Spaniard, in Spain he is considered too French. Qiu described his father’s humiliation as a member of the bourgeoise for daring to own a small perfume factory during the Cultural Revolution – and openly admitted he resented his father at the time for blocking any future career he might have had. He also told us how he was forced into exile in the US and had to start writing in English. This is the sad truth of all-pervasive state interference: ‘People don’t make the choices themselves – they have them made for them.’ He brought all this reluctant collaboration and ambiguity into Inspector Chen’s character. 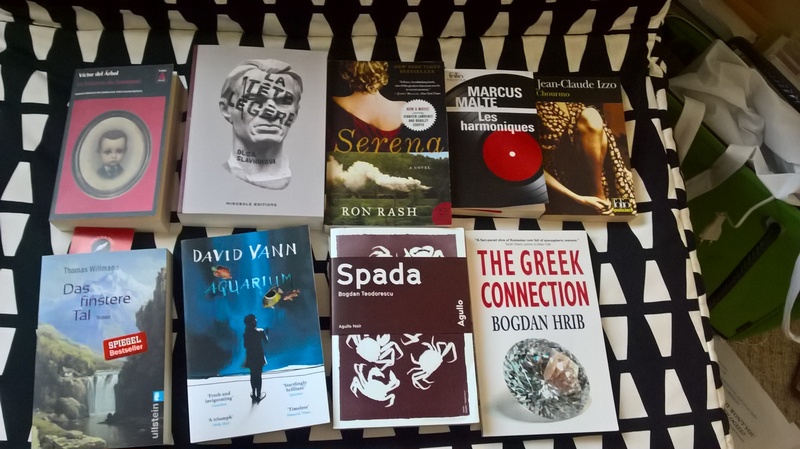 And here is my book haul – reasonably modest this year, as I was travelling with hand luggage only. One in German: the Thomas Willmann I mentioned in the previous post, two French authors (Marcus Malte and the only one I was missing by Jean-Claude Izzo, Chourmo, which also happens to be my favourite), three translations into French (Victor Del Arbol, Bogdan Teodorescu and an absurdist Russian novel by Olga Slavnikova), Ron Rash and David Vann in English (although they are much more expensive in France, of course, but I was keen to have them signed) and finally another Romanian author, Bogdan Hrib, with his first book translated into English (he is also Teodorescu’s Romanian publisher and there may be some exciting collaborations forthcoming, fingers crossed). I got to meet many delightful authors, but got a little bit starstruck and forgot to take pictures. Apologies to the charming Ragnar Jonasson and Lilja Sigurdardottir for not pestering them for pictures. I was more than a little awestruck by Victor Del Arbol and David Vann, and I never got to speak to Cay Rademacher and David Young, but I did manage to take some pictures of the truly international Johana Gustawsson, the always bright and funny Dominique Sylvain (I believe it’s the 4th time I see here either in Lyon or Geneva) and newcomer – all the way from Australia – Jane Harper. 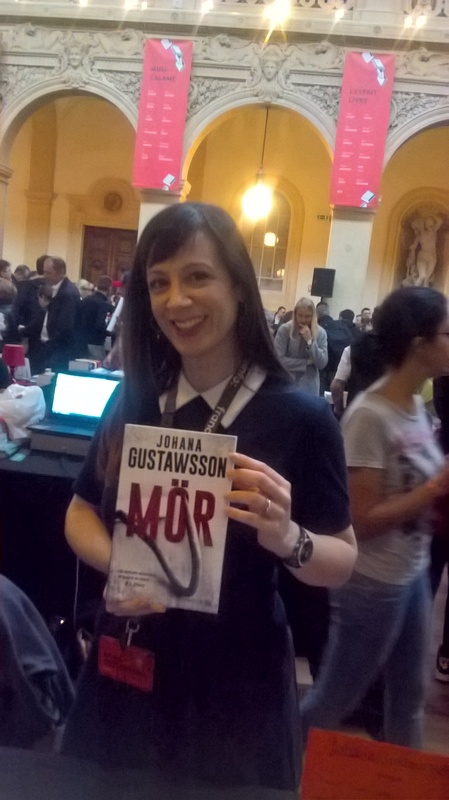 Johana Gustawsson holding up her second book published in France. Dominique Sylvain rocking the Chrissie Hynde look. 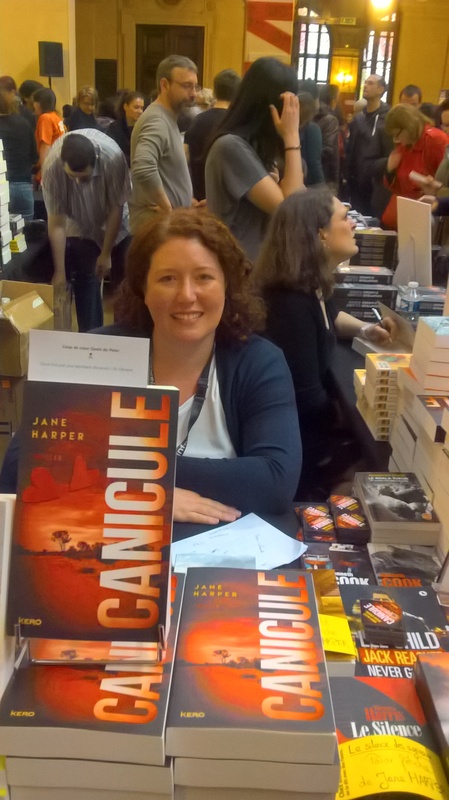 Jane Harper with French translation of her debut ‘The Dry’. 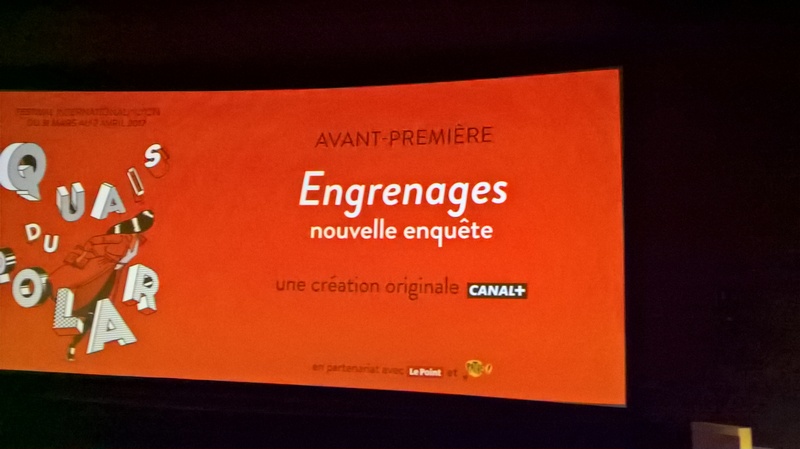 I was also lucky enough to receive an invitation to the preview of the first episode of the new (6th) series of Engrenages (better known as Spiral in the UK). 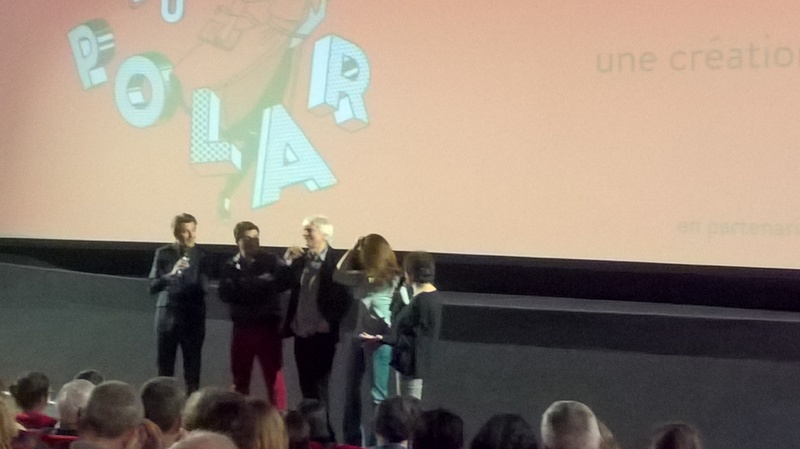 I had already heard the main writer Anne Landois discuss her work in Lyon a couple of years ago, but this time she was joined by the producer at Canal+ and the actors playing the police officers Tintin and Gilou, as well as Judge Roban (the two women actors had other commitments). The series has been going strong for 12 years now, and the actors (plus or minus a few high-profile losses) have been together for pretty much the whole time and have become a tight-knit family. Anne said that she was constantly inspired by the actors to develop characters even farther, while the actors said they really felt they were part of something special, an emphasis on the personal lives of their characters as well as the investigation which is quite new to French TV. Of course I cannot give anything away about the new series, otherwise they would have to kill me. Suffice it to say that the investigation will extend to the troubled Department 93 on the outskirts of Paris. Sadly, it is also Anne’s last season on the show, as it’s been a pretty full-time job for the past 10 years and she understandably wants to try something else. However, a new team of writers are already working on Season 7. Meanwhile, Season 6 will be out in September on French TV and hopefully soon afterwards on BBC4. Too far away and too badly lit to do them justice – but they look far cooler in real life than on screen. The more the modern world surprises and worries me, the more I turn to the classics of sociology, who experienced their fair share of major social and cultural shifts. 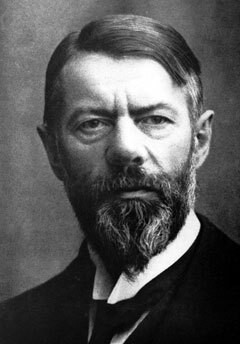 My two favourites are Max Weber with his stark warnings about politics and power and Emile Durkheim on anomie. It was actually not Weber but Georg Simmel who coined the phrase ‘sterile excitation’ to describe what many of us feel at the moment: a tumult of anxiety and passionate feelings when watching the news, but feeling powerless to do much about it. However, Weber publicised the term and warned also of the dangers of so-called charismatic leaders who unleash a ‘following’ they cannot control. Gripped by a need to increase their ‘likes’ (as Weber would say nowadays, looking at social media), these leaders are willing to court controversy and deliberately incite hate-talk and violence from their followers (while denying any personal responsibility). These followers think they are romantic revolutionaries but they are in fact driven by the basest of motives (adventure, booty, power, spoils) and, after victory, usually degenerate into nothing more than looters of all descriptions, claims Weber. It’s this ‘adventure’ item which I see in the cult of celebrities nowadays: a fantasy that they are leading the life we would like to lead if only… Harmless when it’s merely wishful thinking and daydreaming, but it can be used for nefarious purposes too, just like Leni Riefenstahl’s Olympic gods were used to both inspire and divide German society in the 1930s. 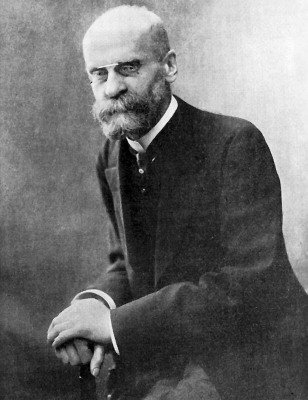 Meanwhile, Emile Durkheim talked about the tension in any human between individual needs and our social roles. Because society surpasses us, it obliges us to surpass ourselves, and to surpass itself, a being must, to some degree, depart from its nature—a departure that does not take place without causing more or less painful tensions. It’s when the gap between individual and social needs becomes too unbridgeable, or when one deliberately decides that one has had ‘enough’ of society and will only follow individual desires, that ‘anomie’ sets in. What strikes me when perusing social media nowadays is this desire to overcome ‘anomie’ by connecting online. We are no longer afraid of sharing our most intimate moments or thoughts, sometimes carefully curated, it’s true, but sometimes deliberately self-flagellating, as if in a competition who can hit rock-bottom first. I’m not criticising others for it: I have done it myself. I used to keep a diary to wrestle with my thought processes and feelings, but now I frequently find myself musing out loud online. Perhaps I get more feedback and support from my online friends, with whom I interact nearly daily, rather than from my real-life friends, whom we don’t really get to see all that frequently. Sad but true! This sharing of stories has enabled us to not feel alone with our anxieties, sorrows or troubles. Others have felt alone, have experienced depression or oppression, ill-health or bereavement, have advice or comfort for us. This is the positive side of the internet and I love it. If awareness of the situation is the first step towards improvement, may the next steps be close behind, please! Any chance of bridging that precipice? 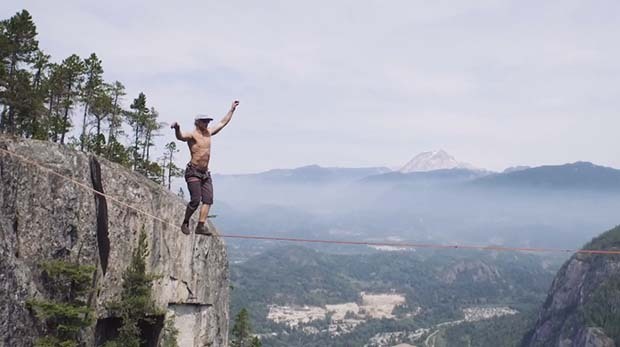 From Vancouver Sun, a fearless (or foolish) slackliner. Following the surprise results of the referendum in Britain and the elections in the US, there are plenty who have come forward and said that it wasn’t that much of a surprise, that it reflects people’s despair and lack of confidence in the establishment, that it’s a moment of revolt, a wake-up call to the out-of-touch elites and hand-wringing, ineffectual liberalists. I can understand that. I myself have been equally frustrated by the hasty return to ‘flawed business as usual’ after the collapse of 2008, instead of any government truly grappling with the reasons for it and finding new solutions and even new political and economic systems to deal with globalisation and poverty. However, ‘dissing’ experts and giving in to the nastiest, lowest common denominator of populism is not the answer. 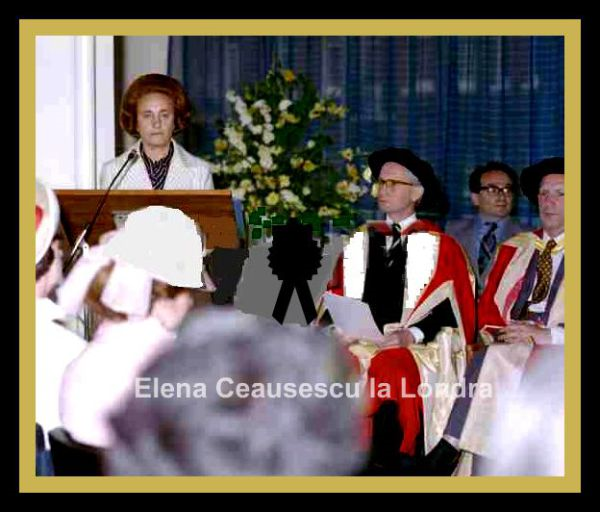 Elena Ceausescu receiving an honorary degree in London. I lived in a society which was deeply suspicious of experts, intellectuals and elites, even while seeking to emulate them. Elena Ceausescu, the dictator’s wife, did not let only four years of primary schooling get in the way of her becoming a ‘world-renowned scientist’ (savant de renume mondial was the catchphrase you had to add whenever you talked or wrote about her). She had her doctorate in chemistry written by someone else, stole other people’s research papers and collected honorific academic titles from around the world (it was a prerequisite of any planned state visit). Meanwhile, her husband vaunted himself with being the author of numerous books on a variety of subjects (his was a universal expertise). I often wondered why they were so eager to be labelled ‘intellectuals’ despite their obvious distaste for those who really were such, until I realised that it was an atheist version of ‘You shall have no other Gods but myself’. It is a cynical and contemptuous manipulation, the brainwashing techniques of ‘I will provide you with all the answers you need’, preferably as simple as possible, thus apparently meeting the needs of the masses, while in fact despising them. History is littered with such quotes, both on the left and the right. Lenin in 1921, from ciml archive. Yes, in moments of anger and crisis, it is far less reassuring to be full of questions and doubts, to take longer to come to a decision, to consult others instead of being the charismatic leader who always knows best. We are all in thrall of the lone ranger CEO who comes in, shoots from the hip, relies on gut instinct and gives a clear sense of direction. We fear ‘governance by committee and panels of experts’ (and, boy, have I sat on many pointless and silly committee meetings, am I fed up with endless government enquiries!). The demagogue, from Gazeta de Spania. What’s the point of learning too much in life? What’s the point in reading about dead leaders? There’s no career with a future out there. After 2000 years of somnolence. Posted on November 10, 2016 Categories UncategorizedTags brainwashing, certainty, doubt, elites, liberalism, politics, populism, rhetoric, simple answers, strong leadership29 Comments on We Know Best! After a brief honeymoon on Facebook back in 2009/2010, when I reconnected with friends I hadn’t ‘seen’ in 10+ years, I became a very infrequent visitor. But over the past few weeks, while attempting to sell household items, old toys, sports equipment etc. prior to our move, I’ve been checking in several times a day. With some dismay. The number of items for sale in June/July in the Geneva area is unbelievable. You can have your pick of furniture, clothes, toys, inflatable pools, cars, bicycles, barbecues and electronics if you are buying. But no one is buying, because everyone is either on holiday or else about to relocate. By September, when the changing of the guard is complete, people new to the area will be looking for second-hand items… and there will be NONE. Plus, of course, every appointment will need to be rescheduled at least twice. Busy, busy, busy lives we all lead, even though we seem to be trawling through Facebook very frequently. I can’t believe how many people are selling unused Celine bags, unworn Prada shoes and Gucci tops. Someone has clearly been having a shopping binge or is of a vacillating disposition. Or there are too many husbands/lovers out there who still don’t get their women’s taste! I’m really happy that people are happy – don’t get me wrong. I am not one fat killjoy waiting to pounce on you. But it’s become a blast of trumpets (or vuvuzelas) rather than a conversation. Look at me, look at me! Far too easy to click ‘like’ and believe that we are actually interacting. Whilst all along we are thinking how to top that story with one of our own. I’m also inherently suspicious of people who are projecting too much joy – are they trying a tad too hard? A day out is no longer fun if you do not instantly upload the pictures for all to see. You cannot kiss your partner on your wedding anniversary in the quiet of your bedroom or kitchen without inviting the world along to peek. My modesty feels assaulted when I see people patting themselves on the back in humblebrag mode. I am delighted that their children have achievements to share, but would rather not rub it into the faces of those who don’t. The friend who’s constantly ‘too busy’ to meet up with you or invite your son over to see her son, and then you see her posting pictures of her walks and bike rides and having other friends over at her house? A cold shower, that’s for sure. As for those who whine about the awful day they’ve had and how they deserve that glass of wine, the recent documentary on immigrants on BBC 2 Exodus: Our Journey to Europe shows you what a really bad day, week, month or even year looks like. I say all this and yet I’ve been guilty of every single one of the above myself on occasion. That’s why I don’t want to play ball anymore. I can commiserate or share my small triumphs directly with my friends, the friends who I can rely on to cheer me up and save me when I am down, who are not envious about any success. Without half the world witnessing our conversation. This is a picture I did upload recently. Meeting with some friends to say goodbye. Facebook is also a great place to discover that some of your friends of yore have very different political views to your own. Somehow, it never came up in face-to-face conversation… or have you been away for too long and political views can change so dramatically as they approach middle age? I’m reminded of the Communist dictate: ‘Those who aren’t for us are against us!’ I refuse to succumb once more to the tyranny of ‘what is prescribed behaviours’. I can mourn in my heart, alone, in a darkened room. There is no need to have a competition of who can mourn the loudest online! Despite all that, I admit that I like pictures of my (real) friends’ children, to see how much they have grown. I have a soft spot for cat pictures and even dogs are adorable (especially in pictures rather than in real life). I like photographic challenges of landscapes or skyscapes, but am not so keen on selfies, food pictures and holiday snaps. It reeks too much of being invited for family dinner at our neighbours’ as a child, and being forced to sit through a hundred decks of holiday slides. I suppose the difference is that nowadays no one is forcing you to look for the price of a dinner. Soooo that’s exactly what I’ll be doing very soon, once all the stuff is sold or given away. Not looking. Can we even call it a debate? The level of discussion in the media of the EU Referendum has been more of the ‘boo!…hah!’ playground fighting variety, or else number-crunching speculative economic prediction. In other words, appealing either to the gut or the mind. But perhaps there is a third area in the human body we need to target: the heart. Cruelty in humans is caused by lack of heart and imagination, the inability to put ourselves in someone else’s shoes. This is why I have finally decided to join in this debate, despite my initial reluctance to voice my opinions. I’d been pained to see a few of my most cosmopolitan friends join the Brexit side. I was not wowed by the half-hearted arguments of the Remain campaign. I hadn’t even registered for the postal vote, which goes against my principle of ‘vote rather than grumble’. As a British citizen for only eleven years (five of which I have spent abroad), I felt it would be presumptuous for me to tell British people how they should feel about the EU. At the same time, I am going back to Britain soon and I shall have to live with the consequences of the vote, whether I like it or not. I hardly have the name recognition and persuasive power of the Nobel Prize winners such Herta Muller, Elfriede Jelinek, Thomas Sudhof, Gerard’t Hooft, Mario Vargas Llosa and so many others, who recently signed a love letter to the British people or the writers who wrote individual letters, but I can share with you my personal experience of living in a Europe with ideological frictions and borders. N.B. and Warning: Long read to follow. I was born an undesirable. I am Romanian and for a long time that caused some confusion abroad, as people mistook me for a gypsy (Roma) or Gastarbeiter (literal translation: guest workers, but usually viewed as second-class citizens in Germany and Austria). As a child, I was not aware of the disadvantages and dangers of being born on the outskirts of Europe. I was fortunate enough to spend part of my childhood in a city that believes itself to be very much at the centre of Europe. At my English school in Vienna, I was treated as an individual, regardless of my looks, my native language or my country of origin. I had friends from all over the world and developed a rather magnificent ‘failing’: I could never again stereotype people again based on their nationality, faith or skin colour. Nigerian Niyi was our most trustworthy and mature classmate, who became the class representative. Farzana was the gentlest Muslim girl from Pakistan, Eyal was the most thoughtful and peace-loving Israeli. Samya was half-Egyptian, half-Austrian, 100% my best friend and deskmate. Then I went back to Romania during the final (and worst) years of Communist dictatorship and discovered just how brutal and painful a world with ‘no free movement’ is. Our passports were the property of the state, so they were taken away from us and kept under lock and key. You had to apply months in advance to get them temporarily returned to you if you wanted to go abroad for holidays or work. Permission was very often not granted, not even for a conference or to visit friends. Especially not to visit friends. Having friends abroad could lead to dangerous, seditious ideas… So I had to stop corresponding with all of my classmates from Vienna. I lost touch with them for over a decade, found some of them again thanks to Facebook, but others were lost forever. We were not even allowed the freedom of ideas: movies were censored, books were banned, foreign magazines (or music tapes) were forbidden for import. Ordinary citizens, who had not resided abroad and were therefore not treated with quite as much suspicion as we were, could join the British Council library at the British Embassy and borrow books from there (or the American Embassy or French Embassy or German). However, when I tried to sign up, my mother was stopped by an acquaintance in the street, who told her I should exercise caution. Part of the Iron Curtain preserved in the Czech Republic, from Wikipedia. I wilted like a flower in the desert. I learnt not to ask ‘uncomfortable’ questions (which usually meant, simple ‘why’ questions) at school, so that my relatives would not be taken in by the police for questioning. I learnt to dream small, to not dare to hope for any future for myself that might require studying or living or working abroad. Could we, should we have foreseen the end of Communism? Perhaps! But it had lasted for the whole of my parents’ lives; what guarantee did I have that it wouldn’t collapse until I was nearing the end of mine? Too late for me. Luckily, that was not the case. 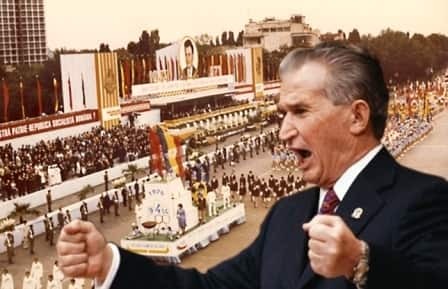 Revolution swept across the Eastern Bloc in 1989 and I was part of the fortunate 1989 generation, the ones who had scholarships showered upon us, so that we could go abroad and learn about democracy and free markets. Perhaps the Western world felt sorry for us – or perhaps they just needed to make sure there would be stability and a hunger for consumption in our region. Anyway, in the early 1990s,we were still the exception rather than the rule, so we were welcomed abroad. In a manner of speaking. I looked and sounded English thanks to my primary school education, but I soon discovered I was still somewhat undesirable in the UK. I had problems opening a bank account (Americans experience that too). I had some landlords turning me down when they heard my name. I had to renew my student visa every year at the notoriously long queues at Lunar House in Croydon. I was not allowed to work to supplement my meagre scholarship. Not even the university was entirely sure of the legislation regarding student work: they had me invigilating a couple of exams and marking some student essays, before they realised it was illegal to employ a non-EU citizen even for 6 hours or less per week, so I never got paid. Worst of all, since my student visa only covered Britain, and the UK was not part of the Schengen agreement, I had trouble going to the rest of the EU. I missed friends’ weddings in Italy and Germany. I even had trouble spending holidays with my parents (who were working at the time in Sweden). Nevertheless, I fell in love with Britain. I was predisposed to, of course, having gone to an English primary school. I knew all of the kings and queens from Henry IV onwards (I confess it all gets a little muddy for me prior to that). 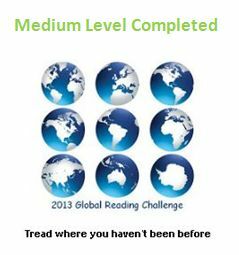 I knew all the nursery rhymes, the children’s literature, even long quotes from Shakespeare. 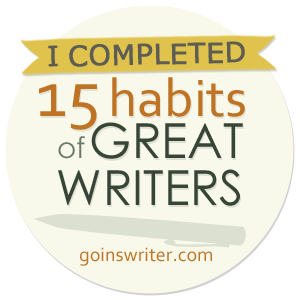 My favourite writers were predominantly English-speaking and I was often asked to edit and proofread essays written by native speakers. There were other things in England to love, quite apart from my biased upbringing. I liked the calm speech patterns, self-deprecating humour and humility of the English, which I found reflected in its green and pleasant landscape. No extremes of weather or temperament, no sudden storms and disasters, no jagged mountain dangers lurking here. It was civilised, fair, always willing to listen to both sides of a problem – the society which had made an art form of debating, after all! I met my Greek husband-to-be in England but, as graduation day approached, we knew things would get complicated. We wanted to stay together, but he was not willing to return with me to Romania, nor was there any future for us (both academics in highly specialized fields) in Greece. I was offered academic positions in Brazil, Hong Kong, perhaps even the US, but I wanted to stay in Europe, close to my family and my boyfriend. When I say to my Brexit friends that they would never have known me if it weren’t for the EU, I am not joking. I may have felt more at home in the UK than in Romania (where I was always viewed as ‘the outsider with a bit of an English accent’), but I was not allowed to stay there unless I married. So we decided to get married sooner than we might have planned: it was the only way we could stay together without having to fight with visas and bureaucracy every time we wanted to visit each other. 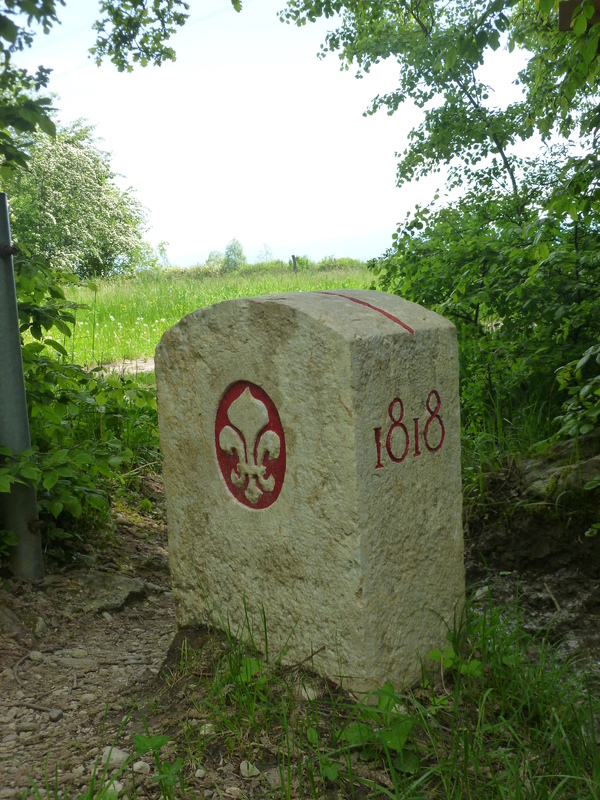 Border stone between France and Switzerland. This is the point at which I start to laugh when people say what a ‘soft spot’ the UK is for immigrants. For us, it proved anything but soft. Not only did we not gain any advantages from the state, but my husband lost all of his rights as an EU citizen (legally resident in the UK). We had to fill out endless forms, leave our passports for months at Lunar House, be subjected to all sorts of random spot-checks to see if our marriage was fake, plus my husband had to prove that he could support me as well as himself and neither of us would be allowed to access any state benefits for the next 5 years or so. We didn’t want benefits, we just wanted to be able to apply for jobs once we graduated. He put up with the madness of bureaucracy at the time, but it put our relationship on an uneven keel from the outset. This set some things in motion which cost me dearly (I ended up being the apologetic underdog, forever trying to make up for things), but I can imagine far worse situations in other families: reproaches of ‘I rescued you’, assaults, sense of entitlement and cover-ups. Years passed. I worked hard, paid taxes, consumed, volunteered, gave birth to British citizens and generally was the most law-abiding and happy freshly-baked citizen you could imagine. Romania joined the ranks of the EU, although I could still feel the reluctance of others to let us ‘into the club’. 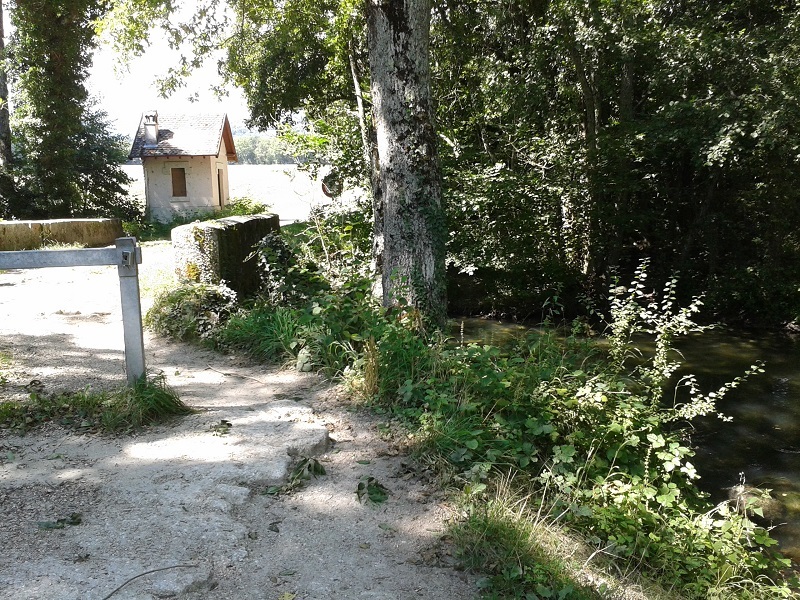 I had to follow my husband when he was transferred abroad to the Geneva area for work. Of course, here I am an ‘expat’ rather than an ‘immigrant’, so it was much easier to find joy and build a temporary nest, all the while knowing that I would return to the country that most closely resembles ‘home’ to me. Former border checkpoint, now abandoned. What is it like to live without borders? I still can’t describe to you the thrill I get from being able to travel where I want whenever I want, attending significant events in my friends’ lives, being able to visit sick parents or go on business trips and conferences without being questioned about the people I met and where exactly I stayed. 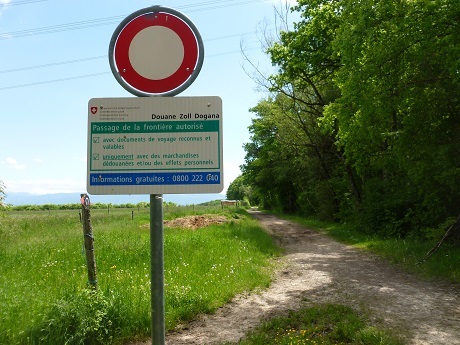 I run every day along the Franco-Swiss border, with one foot in France and the other in Switzerland, and it still brings tears to my eyes that it’s possible to do that without being shot or imprisoned. One of my running paths. I’m old enough to remember daily life in the dark, dread shadow of the Cold War, icing your blood and making you suspicious of your neighbours, friends, family and even your own motives. I’ve been fed nationalistic ideology to the point where I’m deeply suspicious of all forms of jingoism, from tub-thumping atavistic cries at sporting events, to brainwashing schoolchildren with ‘national values’, as if they are clearly set in stone and the same for everyone. I’m old enough to know that an ‘us vs. them’ mentality is easy in the short term but never works in the long term. I know the EU has not lived up to all of its idealistic goals, that many countries and leaders have been selfishly and aggressively pursuing their own agendas instead of thinking and finding solutions collectively. But I cannot bear the alternative. When I wake up on the morning after the Referendum (which falls, incidentally, on my birthday), I fear stepping into a world where fragmentation and ever narrower interest groups are the norm. Idealism suffers when the practicalities of implementation take over, but surely we can do better than declare EU idealism a cadaver and run away. 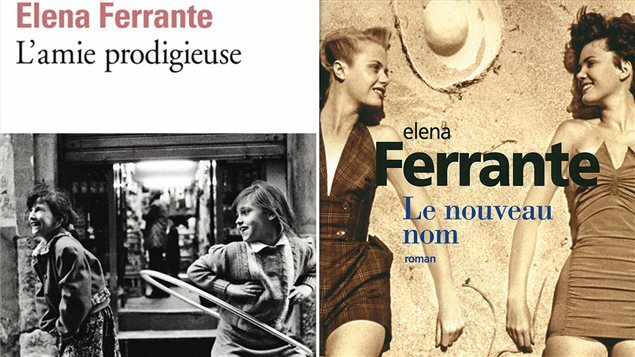 I was impressed by Elena Ferrante’s fierce honesty and gritty style in ‘The Days of Abandonment’, but I avoided the Neapolitan novels for a long time. The hype, the marketing of it as a family saga, the sheer wordiness of 4 thick volumes seemed to me run counter to everything I admire and aspire to be as a writer: elegant and pared down style, hidden and allusive observations, modest and restrained topic matters. But then I found the whole set in English at the local library, so I thought I’d give them a whirl. The flashes of insight and genius which I’d glimpsed in the standalone novel were what sustained me for the first few chapters. 60-70 pages in, I scoffed: ‘Soap opera’. After the next few chapters, I paused: ‘Hmm, soap opera with gender politics.’ Halfway through the first volume, I readjusted this to: ‘soap opera with gender and class politics’. I never watch soap operas on TV, but I started to understand why my mother would: this made for compulsive reading. I finished the first volume and almost immediately made a trip to the library for more. And now I’ve finished all four in record time and am tempted to say: ‘political and feminist discourse disguised as a soap opera’. Many reviewers have spoken of its ferocious howl of anger – but there is also resignation, resilience and ‘getting on with things’ in the most unheroic of ways. I have mentioned before how it reminds me of my female relatives: the trials and tribulations, small joys and greater pains of their own lives, the way they come together to support but also sabotage each other. Events unfold at high speed, often with melodrama, blood, guts and tears, much shouting and throwing of objects, families and friends breaking off relationships for years, then perhaps reconciling for practical reasons. One of Ferrante’s brilliant abilities as a storyteller is to accelerate and slow down time at will, move from the overarching universal to the very particular detail and then zoom out again, in a way which feels very natural and effortless. 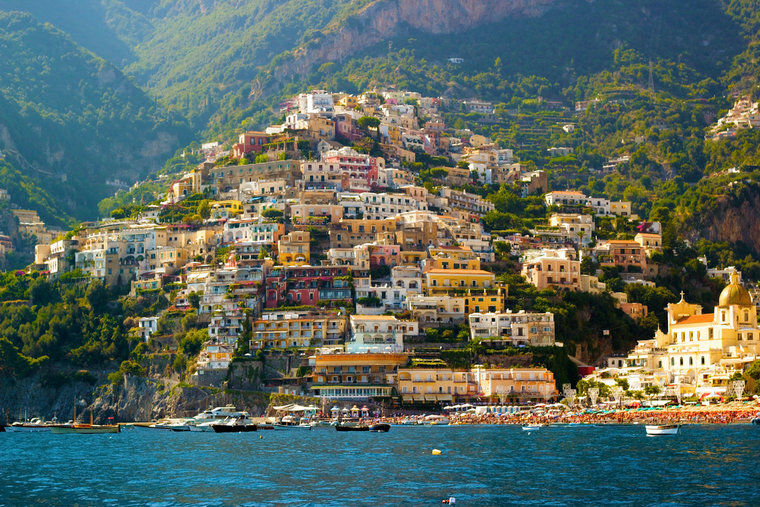 Picturesque Naples, from Raileurope site. She has also been described as the Dickens of Naples. Yes, she conveys the noises, smells, charm and grubbiness of the city, she is unafraid to show its darker sides rather than the picturesque touristy bits, and she populates her pages with numerous vividly drawn secondary characters, but there is also a running commentary and analysis of events (through Elena/Lenu), as they occur, which is seldom the case with Dickens. Ferrante’s narrator shows a lucid self-awareness and hunger to understand, and the reader embarks upon the journey of self-exploration with her and gains her wisdom at the end of the tale. I am not quite sure that we get this level of self-dissection and clear-eyed, unsentimental analysis of those close to one’s self, even in David Copperfield. …the fabric that I weave by day is unraveled by night, the heads finds a way. But it’s not much use, the terror remains, it’s always in the crack between one normal thing and the other. It’s there waiting. I’ve always suspected it… nothing lasts… Good feelings are fragile, with me love doesn’t last. Love for a man doesn’t last, not even love for a child, it soon gets a hole in it. You look in the hole and you see the nebula of good intentions mixed up with the nebula of bad. Everything that struck me… woud pass and I – whatever I among those I was accumulating – I would remain firm, I was the needle of the compass that stays fixed while the lead traces circles around it. Lila on the other hand… struggled to feel stable… However much she had always dominated all of us and had imposed and was still imposing a way of being… she perceived herself as a liquid and all her efforts were, in the end, directed only at containing herself. When, in spite of her defensive manipulation of persons and things, the liquid prevailed, Lila lost Lila, chaos seemed the only truth and she – so active, so courageous – erased herself and, terrified, became nothing. 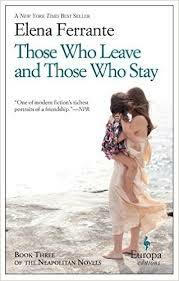 I’ll be honest: Ferrante inspires me with mixed emotions. She writes in a voice which, despite my best efforts to be polished and Anglo-Saxon in attitude, comes through far too loudly and clearly in my own life. As with Javier Marias, I recognise in her a kindred spirit: she writes the way I think when I don’t censor myself, when I allow my Romanian side to come out. A voice which I have suppressed and perhaps slightly disparaged all my life. A voice which is easy to mock as too convoluted, messy and therefore inferior. A voice which has been misunderstood, laughed at, satirized or met with aggression and prejudice. So it will take a while for me to appreciate this voice – and I find it surprising that English speakers are so attracted to it. At the same time, I feel exhilaration and liberation when I read her work. It is OK to be like this. And she also fills me with envy and the sadness of a missed opportunity. If in future I were to write the saga of my own extended family, farmers and shepherds in the sub-Carpathians, against the backdrop of war, Communism and then wild capitalism, with all the mixed messages about gender and family which have been the bane of my life… it wouldn’t be my story, because it’s all been done now by Ferrante in a different location. Posted on May 15, 2016 May 13, 2016 Categories Formative WritersTags book review, Elena Ferrante, family saga, Italian literature, politics, style, women31 Comments on Feverish after Ferrante?